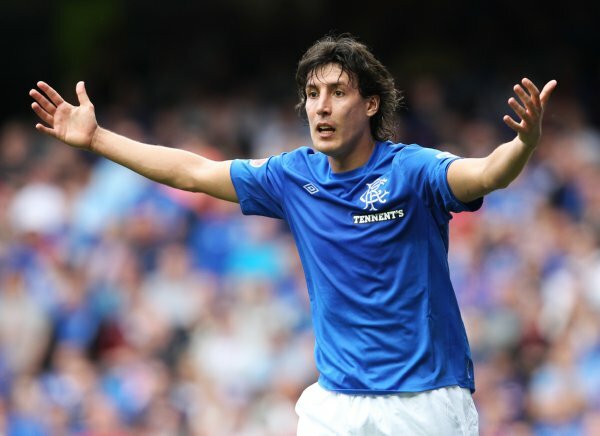 Francisco Sandaza is unlikely to be the most popular chap round Ibrox way for the foreseeable future after the Spanish striker admitted joining the club solely for the money and also that he would be willing to leave at a moment’s notice after being duped by a Celtic-supporting taxi driver posing as an MLS agent. When “McGonigle” enquired about the former St. Johnstone forward making a move to the MLS, Sandaza made it painfully obvious that he’d leave at the drop of a hat and that he’d prefer to conduct business behind Rangers’ back. “Do not do it officially through the club. Send me the contract first. I don’t want trouble if Rangers find out about this,” he waffled. Now, we’re not saying there’s anything particularly incendiary about these revelations – this kind of thing probably goes on every single day in the world of professional football. Indeed, with Rangers currently squirreling away in the Scottish fourth division it’s hard to imagine any player “joining for the level”. What’s amazing is just how candid Sandaza was prepared to be with a faceless voice at the other end of the phone. Either he’s incredibly open about these things or he’s incredibly dumb. We’ll let you make that particular judgement call. @Anonymous: The “Third Division” is the fourth “division”. You wouldn’t call League 2 the “Fourth Division” would you? Use the proper name please and give it the respect it deserves. @Dave: Of course I would. Not a question of respect, just pedantic semantics.